The Fatima's Garden stacking rings collection by Thomas Sabo is ideal for those who love to mix and match their jewellery. 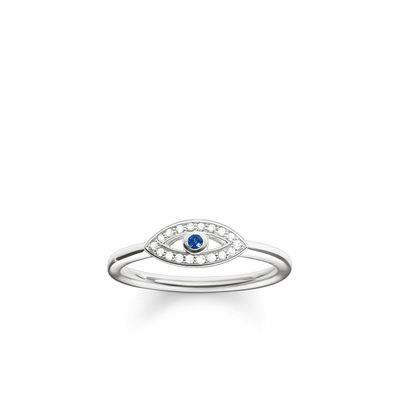 This elegant addition crafted in 925 Sterling Silver features the symbol of Nazar's Eye embellished in sparkling cubic zirconia. A bright blue synthetic spinel creates the eye for a colourful finish. This ancient talisman is believed to lend its wearer protection against negative energy.